Read Porsha's latest blogs here. Porsha is a Licensed Marriage and Family Therapist. She completed her Bachelor of Arts degree in psychology from University of California at Berkeley then moved to Atlanta, Georgia and completed her Masters of Family Therapy degree from Mercer University School of Medicine. Porsha’s strength is providing an open, caring and safe environment for you to discuss your most private difficulties and challenges. She focuses on building a positive therapeutic relationship to promote maximum positive change and growth in you. 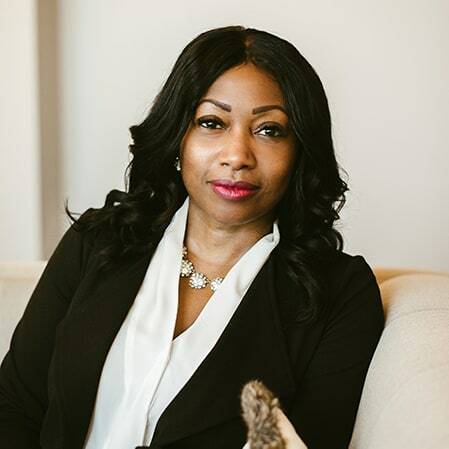 Porsha is experienced and passionate about working with individuals, couples and families suffering from issues surrounding anxiety, depression, major conflict, infidelity, divorce, and parenting children with ADHD. She uses Solution-Focused Therapy to help broaden clients’ understanding of the way they see themselves, their family and their situation. Porsha specializes in working with professional athletes and understands the specific lifestyle challenges athletes and their families face. She tailors her approach to each unique situation and strives to meet the individual needs of each athlete and family. After living in California for many years and traveling abroad Porsha has made the Atlanta Metro area her home. She enjoys spending quality family time with her teenage son, traveling and learning new things. Porsha is a Clinical Fellow Member of Georgia Association of Marriage and Family Therapy and American Association of Marriage and Family Therapy.